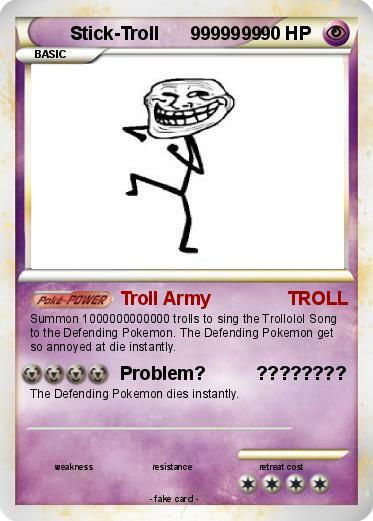 Summon 1000000000000 trolls to sing the Trollolol Song to the Defending Pokemon. The Defending Pokemon get so annoyed at die instantly. Attack 2 : Problem? ???????? The Defending Pokemon dies instantly.